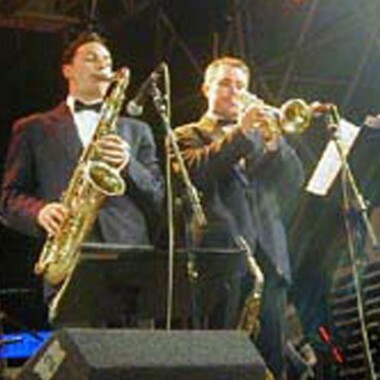 Classic Las Vegas style swinging entertainment from singer/saxophonist Ray Gelato and his 7 piece band. The ‘Giants’ have toured throughout Europe and North America and are regular performers at festivals and upmarket private and corporate events. Ray’s voice was heard worldwide recently as the singer on the Levis Dockers TV and cinema commercial. 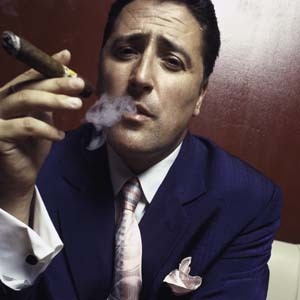 Ray Gelato has been described as a cross between Louis Prima, Dean Martin and Sam Butera, with a touch of Robert De Niro thrown in. Whatever comparisons you make are up to you, but once you have heard or seen the man in action, you will agree that he swings with the most energy in town! 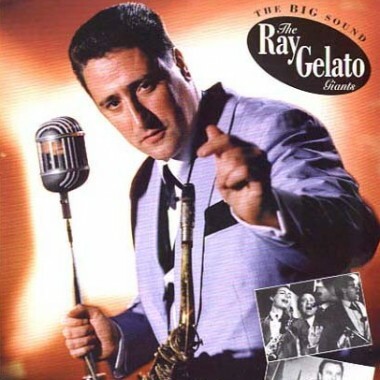 Ray Gelato has been wowing audiences with his own brand of swingin’ music since the early eighties, introducing people to the vibrant, hot sounds of the forties and fifties. His powerful, energetic combination of hot vocals and roaring tenor sax have made audiences all over the world go wild. His band ‘The Ray Gelato Giants’ have been described as “an absolutely world class unit”, and their energetic stage show is something that is not seen anymore, anywhere! The band create a fantastic Las Vegas style atmosphere which people worldwide love to dance, listen and sing to. So come on in, kick off your shoes baby, grab a Martini, and check out the guy who swings the most. The band have completed several sell-out weeks at London’s famous Ronnie Scott’s club, and the Giants played with Robbie Williams at his sell out ‘Swing While You’re Winning’ show at London’s Royal Albert Hall. The band was personally chosen by Robbie, who made a point of coming up to all the guys and telling them how much he dug the show. Robbie said to Ray “Great band, we are like the new Rat Pack”. And one of many society events was to play in Northern Ireland for Paul McCartney’s wedding to Heather Mills.